What can I even say at this point? It is clear what genre my musical heart lies with. While I do tend to broaden my musical horizons and review multiple genres, stoner rock is usually the heart of my fuzzed out wheelhouse. Grass has not been a disappointment. The rawness of this EP is what really pulled me in. It is one of the many things I love about bands’ first albums. You can usually hear their love for what they do and the heart that goes into it. I feel this strongly with Fresh Grass. I had a difficult time getting information on Grass, but this was quickly remedied with a message to one of the members. Not only was he lightening fast to give me some background information, he was extremely polite. This is something that speaks volumes to me when writing a review. Grass is based out of Brooklyn, New York and includes band members; Phil Anton (vocals), Joe Stuppiello (guitar), Josh Peterson (bass), Jon Brandom (drums). 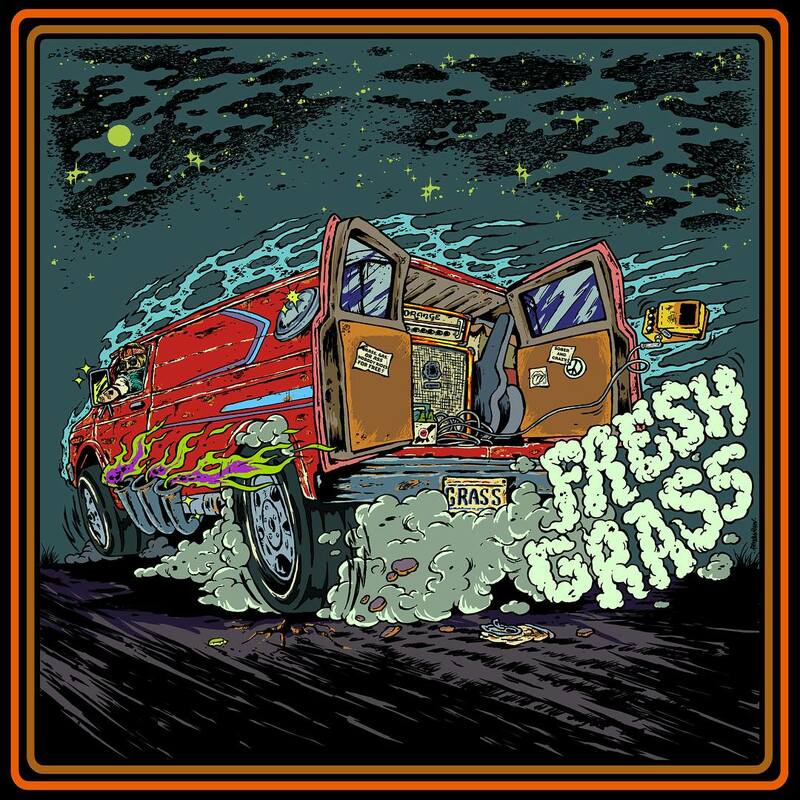 They joined forces in 2014 and released Fresh Grass, their first EP in 2018. They have a strong Black Sabbath vibe, which is one band they credit as a big influence, along with the almighty Led Zeppelin. While their EP is five songs long, they are looking to put out a full length album in the future. Let’s hop into the songs, which I have listened to over and over for a few weeks now. “Amnesia/My Wall” is the title to track one. It starts with a fuzzy and catchy guitar riff. The complete rawness of this first song will set the pace for what the rest of the EP has to offer. You will hear a prominent Iommi guitar hammer on before it breaks into a steadier rhythm to the core of the song. A little over two minutes in, Anton’s vocals begin. This song is so damn catchy, I have been singing it in my head for weeks now. Not only does his voice race you back into the 70’s with his vocal tone, but Stuppiello’s guitar solo compliments this style. I grew up on my dad’s record collection, and this song is one hundred percent up my alley. As soon as I think track one is going to be my favorite of the album, “Black Clouds” violently crash in like the Kool-Aide man. This one has quickly become my favorite,..I think. Every track is notably incredible. Here is the thing with track two, it is a bit more aggressive musically, but the lyrics are what drew me in. It is apocalyptic, but not dark. Anton speaks of black clouds and evil surrounding him, but he doesn’t sound afraid. He almost sounds like he is welcoming it and ready for the fight, but then you discover his battle is internal. I had a “Good Omens” feeling with it. I am not sure how to fully explain it, so you will need to listen for yourself and please, by all means, drop me a message to let me know your thoughts on it. Track three, “Fire”, is just as groovy as its’ predecessors. Anton talks again about the internal darkness, almost like he is speaking about depression, but it is done so creatively within the musical composition you don’t feel depressed. It is quite a feat to accomplish this. The riff in this song is another extremely catchy earworm. It is the shortest song on the EP, but still dynamic. 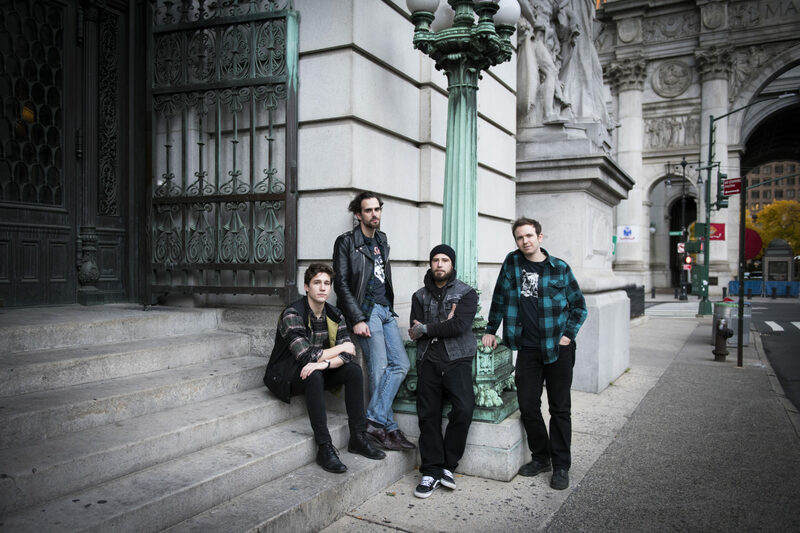 “Runaway” continues to impress with its stoner rock melodies and groove. I read Brandum is a jazz drummer, and I feel all the songs showcase this influence, yet it fits perfectly and he plays exactly what the songs need. This song makes me think he is trying to outrun his darkness and depression. Stuppiello throws in another wonderful guitar solo then folds into a crunchy guitar riff. At this point, Peterson’s bass is more prominent and amplifies the song to perfection. The final track, “Easy Rider”, kicks off with another epic riff and steady drum accent. I really dig this song and sound, it is “full.” The lyrics seem to come full circle, as he is still enveloped in the darkness, but at this point he has quit running and has accepted it, in the most beautiful way. I can almost picture a man just sitting down, leaning against a building, tired but calm and accepting of his fate. The song slows down toward the end, and an almost bluesy riff takes over. When the drums and bass mix in, it closes the song and EP with musical satisfaction. I cannot speak highly enough about this EP. I feel like they purposely take you on a dark path of depression but give you hope at the same time. We all experience this at times in our life, and Grass has done a fantastic job of displaying this with understanding and even comfort. I could be completely wrong on my interpretation of this, but that is how I felt while listening, for the tenth time or so. That said, the band balances the heaviness of its riffed out reverie and weighty lyrical content with a sense of humor as suggested by the album’s cover. One can almost smell the redolent scent of red-hair sinsemilla wafting from the speakers. Grass are keeping it real, but also keeping it relevant. are carving the way for stoner rock in modern times in the best way. I’ve been bogarting this EP long enough, time for you to take a hit! For those who want to keep the high rolling, Peterson notes: “Grass is currently hard at work writing material for a full-length and gigging around Brooklyn/NYC. We’re headed up to Boston 2/23 for a show at The Midway Cafe, and catch us locally at Gold Sounds 2/26, the Well 3/15, St. Vitus 4/21 with Brother Hawk, and Kingsland 5/2 with Witchkiss.” Make sure you catch a show if you are fortunate enough to be on the East Coast!